A webtoon, a recently coined portmanteau of web and cartoon, is a cartoon series released on the Internet. Web toons are unlike conventional cartoons simply posted online in that they take advantage of the unique features of the Internet. 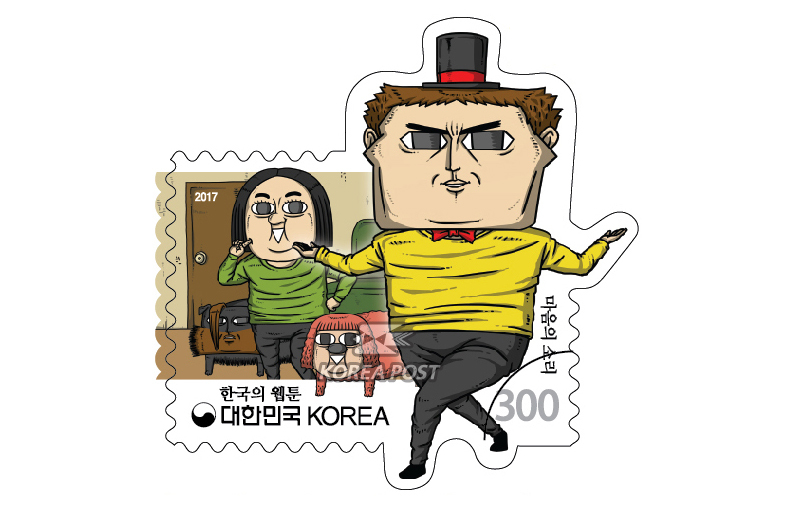 The Korean webtoon market grew in tandem with Internet-based servicees, such as personal homepages and blogs. 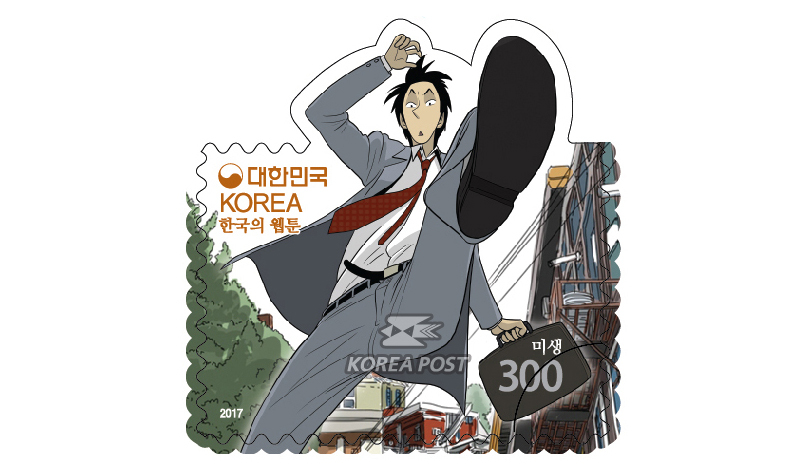 Portal site Daum launched the World inside Cartoons in 2003, signaling a new era of webtoons, which began differentiating themselves from conventional or digital cartoons comics. 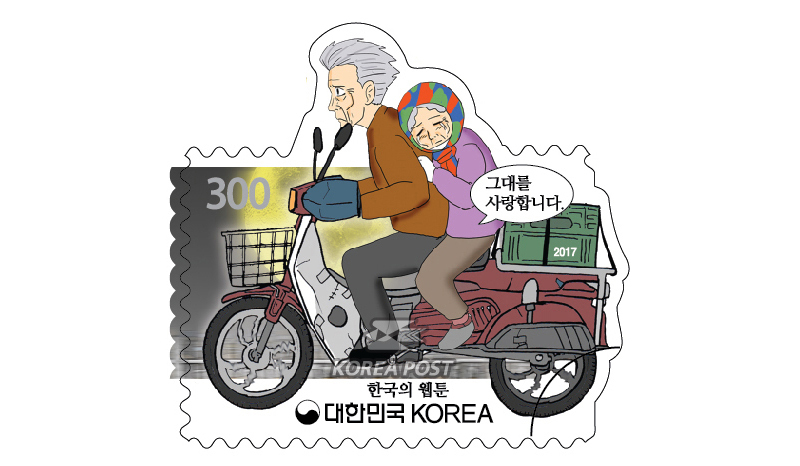 The first comic to apply the scroll format of a web browser at the time, Love Story by webtoon artist Kang Full became an instant sensation. In the following year, 2004, Naver opened a section called Webtoon on its website, and webtoon soon caught on as a new term for comics. Having started as free content webtoons have become an integral part of pop culture adapted into various art forms including film, TV drama, games, and theater. 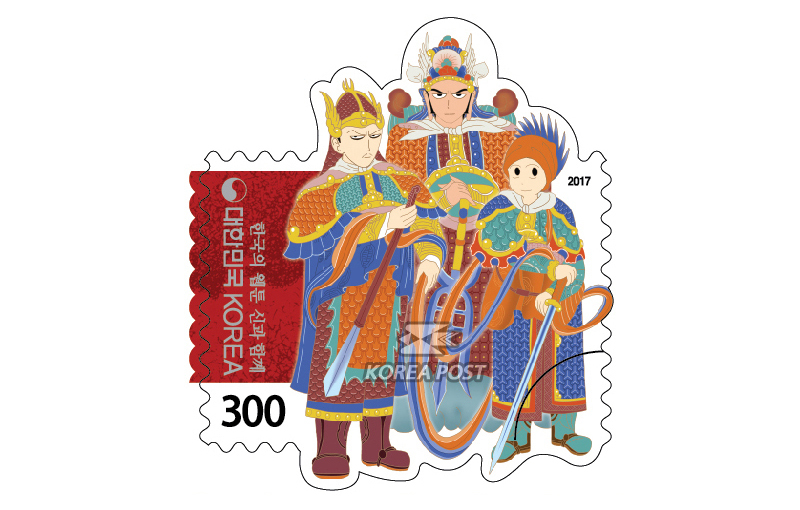 According to a report by the Korea Creative Content Agency, the Korean webtoon market was estimated A KRW 234.7 billion in 2015. 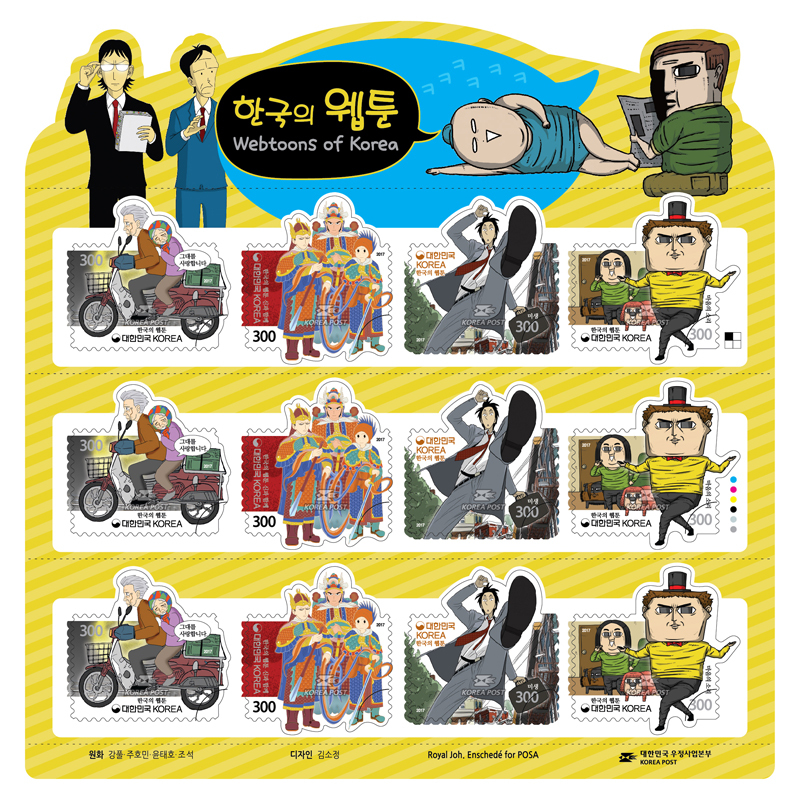 Korea Post is issuing postage stamps to introduce four leading webtoon artists in Korea and their famous works. Known for its sentimental subject and solid story development I Love You by Kang All opened the golden age of w ebtoons and was well received for having portrayed the relationships between older characters. 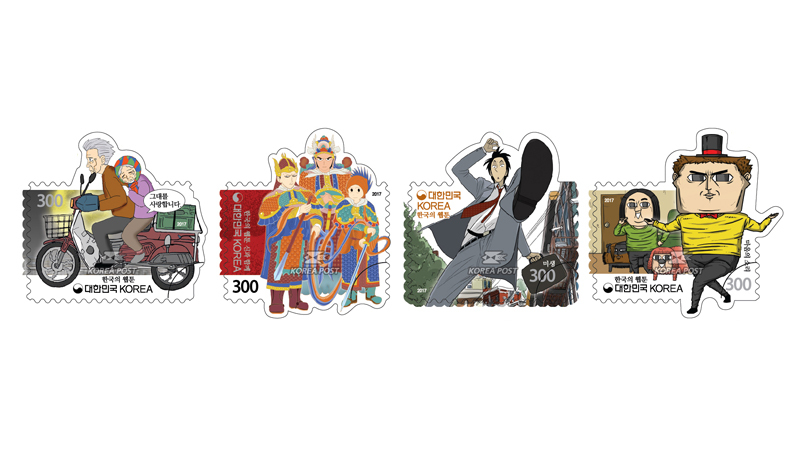 A modernistic reinterpretation of Korean mythology, With God by Ju Homin told stories of the gods of Korean mythology and main characters in omnibus form with satires on the world. Yoon Taehos Misaeng (Incomplete Life) attracted interest for realistic dtpitiot A the lives and relationships of ordinary office workers, and was adapted as a TV drama, subsequently giving rise to Misaeng syndrome in Korea. The Sound of Your Heart by Cho Seok became popular particularly among young readers for communicating inner thoughts from everyday life through an unusual drawing style and humorous dialogue.